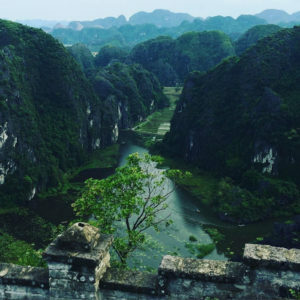 Mua Cave Ninh Binh – Miniature Great Wall in Vietnam. It seems that Ninh Binh Vietnam is the most loved child of Mother Nature so it is bestowed many beautiful sceneries. 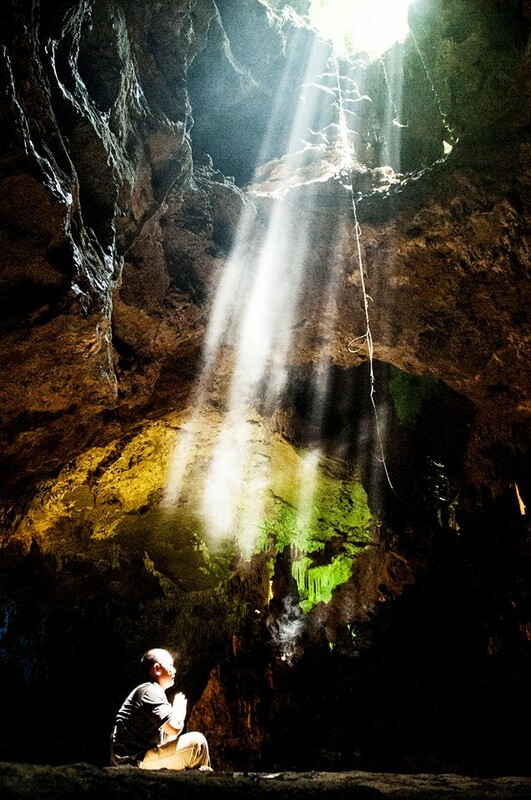 One of the most alluring places to view in Ninh Binh is Mua Cave (Dance Cave). 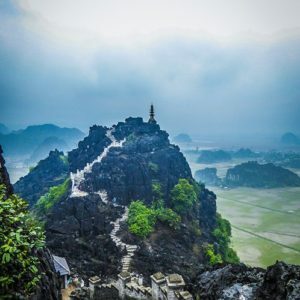 If you have been ecstatic with the charming scenery of Tam Coc Bich Dong or overwhelmed by the majesty of Trang An, Mua Cave is definitely the destination visitors can not ignore. It is considered as a Great Wall of Vietnam. Mua Cave is located at the foot of the Mua mountain with a unique shape. the Mountain is shaped like a bell hanging down, its overall area of the mountain wide up to more than 800m2. To reach the top, visitors will cross a small bridge over the stream gently flowing, then a paved way covered with green trees. The way to conquer the summit of the mountain is the zigzag line, which includes 486 steps simulated by the architecture of the famous Great Wall of China. Therefore, it is known as Miniature Great Wall in Vietnam. On either side of the way, there are many decorated lines with the images of dragon and phoenix in the art of the Tran dynasty. Thus, when walking on this road, you will feel that it is the way to paradise. It is really an interesting experience. Standing on the top of Mua Mountain, visitors will admire the most magnificent scenery. In May and June, the entire landscape of paddy fields is minimized in your view. If you feel tired in a messy and disorganized city, Hoa Lu Tam Coc tour is the best choice for you. It will bring you much different memorable experience. Thuy Anh Ninh Binh Legend Hotels Company limited is going to participate in ITE HCMC 2018. 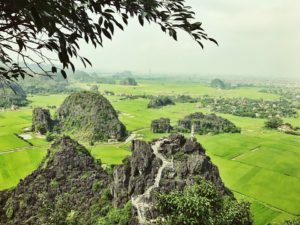 The beauty of Van Long Natural Reserve – Ninh Binh in summer. NINH BINH TRADITIONAL CRAFT VILLAGES.